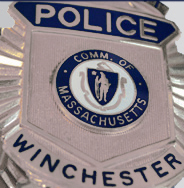 Winchester Police Department » Blog Archive » #GOTDRUGS? The Annual Medication & Sharps Safe Disposal Day* is Saturday, April 28, 9 a.m. to 1 p.m. The program will be held in a tent, outside Transfer Station gate at, 15 McKay Avenue, Winchester. Dispose Of Them Safely On This Day!